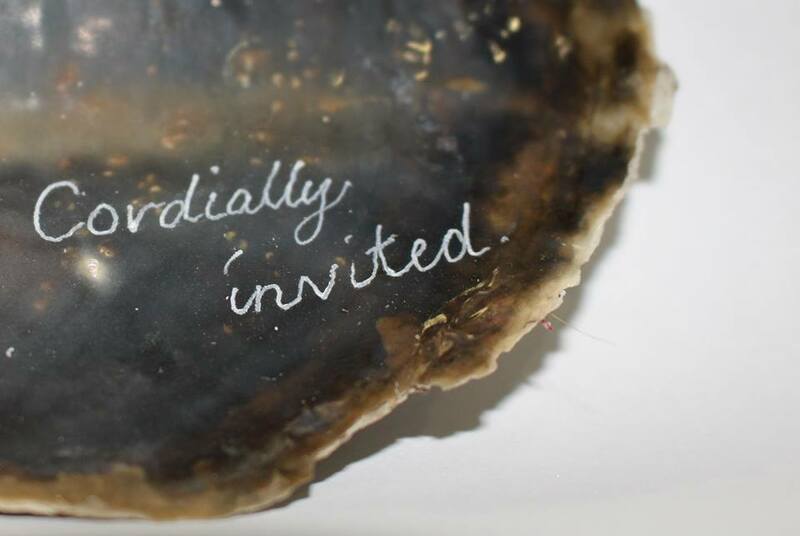 Leeward Bride – Floating Goose Studios Inc.
‘Leeward Bride’ is a collaborative effort, examining the meeting point of the practices of Edwina Cooper and Christina Peek. The rationale for this exhibition was inspired by the Venetian tradition of marrying the sea. Established in around 1000AD, the Pope would wed the sea each year on Ascension Day by dropping a golden ring from his finger into the ocean. The two artists have examined this concept from the stand point of their respective practices; Cooper exploring the relationships and interactions of human and oceanic space, Peek exploring the idea of romance as a fraught cultural narrative. The nature of this collaboration dictates that both have had a hand in making each work. By working through each piece the pair have attempted to extrapolate on this centuries-old ritual re-imaging and reconsidering it in contemporary terms. When the significance of both the sea and marriage has shifted in lineage, what unions might today’s society gather from the sea and our potential marriage with it? Where do our expectations and superstitions around both pledges (of marriage) and cohabitation (with the sea) slip?